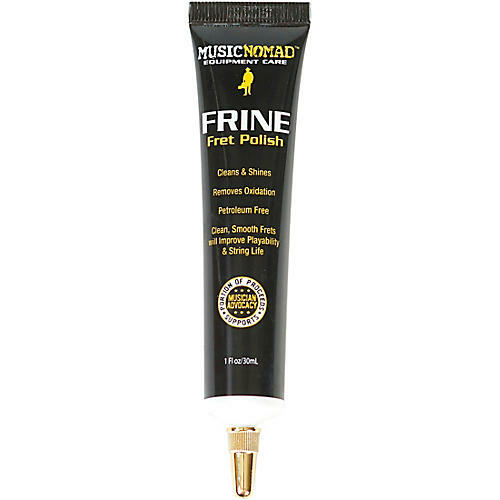 Look, sound and play your best with FRINE fret polish. Clean, smooth frets will not only make bending and vibrato easier, but prolong string life. Oxidized, dirty frets cause more string damage than you’d think. Music Nomad’s revolutionary FRINE Fret Polish has micro-fine polishing compounds that safely and quickly remove oxidation, dirt and oil. Restore smoothness and a mirror shine to your frets without the hassle of harsh cleaners and messy steel wool.